Consider a bounded domain and a Brownian motion conditioned to stay inside . How does it look like ? What is the invariant distribution ? This is very simple, and surprisingly interesting. This involves the first eigenfunction of the Laplacian on . To make everything simple, and because this does not change anything, it suffices to study the situation where . In other words, what does a real Brownian motion conditioned to stay inside the segment look like. 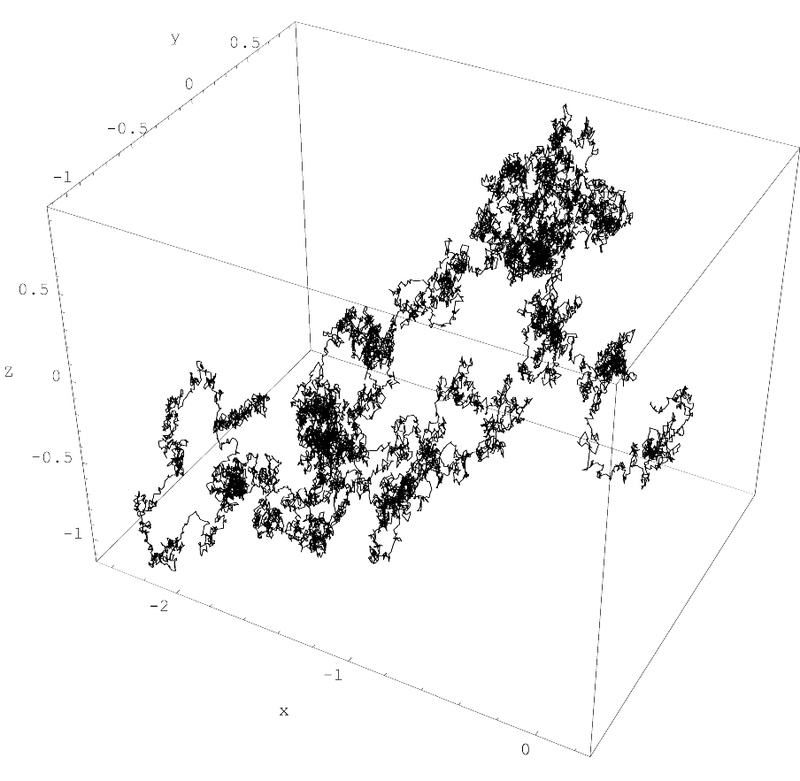 One could directly do the computations in a continuous setting but, as it is often the case, it is simpler to consider the usual random walk discretisation of a Brownian motion. 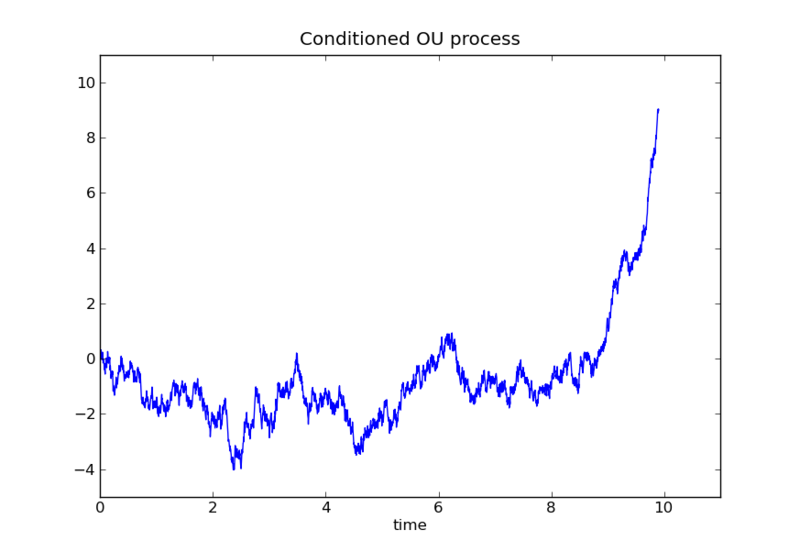 For this purpose, consider a time discretisation and a standard random walk with increment : with probability the random walk goes up and with probability it goes down . For clarity, assume that there exists an integer such that . Suppose as well that it is conditioned on the event for . Later, we will consider the limiting case and , in this order, to recover the Brownian motion case. Next section investigates the limiting case . 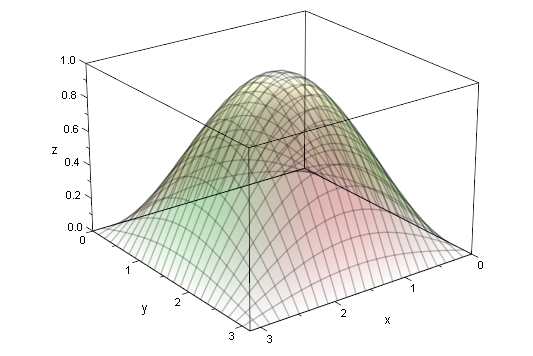 For example, the following plot depicts the first eigenfunction of the Laplacian on the domain . Today, James norris gave a talk related to Diffusion-limited aggregation processes and mentioned, in passing, the following amusing fact: put equidistant Brownian particles on the circle with unit circumference and let them evolved. When two of them collide they get stuck to each other and continue together afterwards: after a certain amount of time , only one particle remains. Perhaps surprisingly, this is extremely easy to obtain the first few properties of . For example, . This gives for example . I just find it cute! So what if we do that on a segment ?